Your prized boat probably didn’t come cheap. Whether you own a bass fishing boat or a yacht, it’s important to find the right boat insurance that will come to the rescue if you have damage or theft. Here’s how to understand boat insurance policies. Your home insurance policy covers your boat in some cases, but it doesn’t go far. Homeowners policies typically cap boat coverage at $1,000 or 10% of your home’s insured value. And liability coverage — which pays for damage your boat does to others — typically isn’t included under home insurance. So a home insurance policy might help you only if your boat is small, slow and inexpensive. At a glance: Do I need boat insurance? Bodily injury liability, which pays expenses when someone is injured on your boat. Property damage liability, which pays for damage your boat causes to someone else’s property. Guest passenger liability, which pays for legal expenses of someone driving your boat with permission. 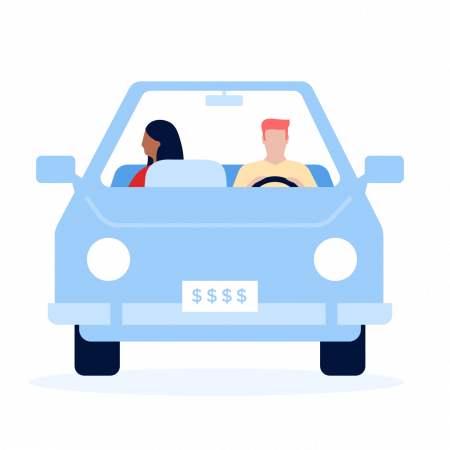 Medical payments, which pay expenses for you and your passengers. Damage from sharks and other creatures. Check, too, about additional coverage for trailers and accessories, for towing and for damage caused by an uninsured boater. Actual cash value. This pays the value of your boat at the time of the damage. If your boat is destroyed, your insurance company determines its market value. Agreed amount value. If your boat is destroyed, your insurer pays you an amount that you and the company agreed on beforehand. If your boat can be repaired, your insurer replaces old items for new ones without deducting for depreciation. Mechanical breakdown coverage. Pays to repair or replace your outboard motor as long as it’s not due to wear and tear. Salvage. If your boat becomes disabled and a basic tow won’t help, you might need to call a salvage company to recover it. Typically a salvage company will ask for a percentage of the boat’s value as payment, which can be quite expensive. Not all insurance companies offer this coverage. Gadgets. Not all boat insurers cover expensive accessories like fishing equipment or fancy coolers unless they’re permanently attached to the boat. For example, Travelers offers personal property coverage that pays you if they’re stolen or lost while out on the water. Endorsements, which are additions to your policy, are available if you want to increase the value of your personal property limits. Navigational limits: If you own a yacht or a larger boat, your policy will have limits outlining where you can navigate your vessel. If you venture outside of the territory you agreed to in the policy, your insurance may not cover you. Typically, the broader your navigation area is, the higher your insurance costs will be. Layup periods: Taking your boat out of the water is typical during cold weather, and most insurance companies will give you a credit because it’s not being used. But take the boat out for a spin before the layup period ends and you won’t be covered by your insurance policy. Marine inspections: If your boat is an older model, most insurance companies will want you to have it inspected by a marine surveyor in order to assess the vessel’s condition and market value. For safety’s sake, consider a marine survey even if it’s not required. Underage operators: You might be tempted to let your 12-year-old drive the boat every now and then. But if your child doesn’t meet age and license requirements in your state, your boat insurance policy might not cover you. Age and license requirements for operating personal watercraft vary from state to state. In Virginia and Florida, for example, no one under 14 may operate a personal watercraft. In Texas, children under 13 are barred from driving one unless a licensed operator who’s at least 18 is on board. For requirements where you live, check with the boating regulatory agency in your state. How much you’ll pay for boat insurance depends on the level of insurance coverage you want, as well as the size, horsepower, type and value of your boat. You can choose your deductible, which is the amount deducted from your insurance check if you make a claim. A typical policy has deductibles of $250 for property damage, $500 for theft and $1,000 for medical payments, according to the Insurance Information Institute. Liability claims against you do not have a deductible. Not having made a previous boat insurance claim. Carrying other policies, such as car or homeowners, with the same insurer. Offers coverage for boats up to $250,000 in value. AAA lowers your deductible by 25% each time you renew your policy and haven’t had a claim. Average cost of boat insurance from Allstate is about $20 a month, according to Allstate. Bundle boat insurance with an Allstate homeowners policy and you qualify for up to a 20% discount. Additional coverage options cover personal items and pay for repairs to your boat and equipment, without a deduction for depreciation. 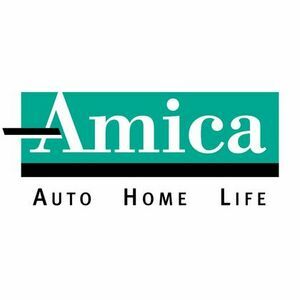 If your boat is disabled, an Amica policy covers towing to nearest port. If your yacht can’t be repaired, Amica pays to replace it with a new one, without subtracting depreciation. Optional boat insurance coverage is available through homeowners policies. County Financial homeowners insurance covers your boat for up to $1,500. You can buy more coverage under your homeowners policy. Farmers offers seven packages to fit your vessel type and coverage needs. Geico’s optional premium boat towing service offers unlimited on-water towing (within 25 miles of an approved tower) and pays the service provider directly. Geico offers several discounts, including one for passing a boat-safety course and for maintaining a good driving record. You can cover your boat, sailboat or personal watercraft with an endorsement to your Hanover Platinum or Connections homeowners insurance policy. Additional coverage, which costs extra, is available for your accessories, trailer and boat hull. You must have a homeowners insurance policy with Liberty Mutual to get boat and watercraft insurance. Optional coverage includes hurricane protection, which pays up to $250 to move your boat out of danger during a hurricane advisory. Unforeseen emergency services coverage pays $250 for towing and other services on land or in the water. Personal watercraft coverage includes liability, collision, comprehensive, uninsured or underinsured operator, and medical payments. Optional towing and labor also available. Total loss replacement coverage pays for a new boat if your new boat is a total loss within five years of adding the coverage. Progressive offers several specialized coverage options, including 24-hour roadside assistance if your car breaks down while towing your boat. Unlike some insurers, Progressive doesn’t require you to submit a navigation plan. Nor does it require an inspection of your boat. State Farm’s optional emergency service pays up to $500 to service your boat, motor or boat trailer. Optional wreck-removal coverage pays “reasonable expenses” to raise or remove your boat when it’s required by law. Travelers splits the cost to move the vessel to safety when you carry “hurricane-escape reimbursement” coverage, which costs extra. Antique boats get the same comprehensive coverage available in Travelers' basic policy. USAA members get a 5% discount on boat insurance, but the discount is not available in all states. Get started	USAA is open only to active and retired military and their families.